ISLAMABAD: On the request of the parliamentarians, establishment division’s exercise to tabulate a list of sitting gazetted officers from all occupational groups remained futile and none of them were declared foreign nationals. Only fifty-nine officials mostly from autonomous corporations hold a nationality of the US, the United Kingdom and Canada, Pakistan Today has learnt. The available list indicates that A Akhtar Hasimi, Ali Khandwala, Tenveer H K Lodhi, Farhan Waheed, Nadeem Ahmad Khan, Syed H Humayan, Misbah Ehsan, Mubarik Ahmad, Manzoor A Bhutto, Naila Manzoor, Muhammad Hamif Memon, Raiz Ali Khan, Usman Ghani Rao, Inayatllah, Amir Sarror, Rashid Ahmad, S Sami hashmi, Kehkashan Taranym, Dr Rukhsana, Zeryab Bashir, Jalil Rehman, M Najm-ul-Huda, Dadrul Islam, Najeeb Amin Mughal, Saeed Ahmad, Imanullah Jan, Muhammad Jamil, Najeeb A Syed, Asad Awais, Tariq Jamil Khan, Tariq Mehmood Khan, Waqar ul Ahsan, Umer Razzaq, Naveed Ikram, Amir Hussain Shah, M Tariq Gabol, Shahzada Khurram, Zahid Raza Naqno, Sohail Mehmood, Muhammad Sohail, Dr Sanam Mumtaz, Umer Saleem, S H Umer Aslam, Talha Ahmad Khan, Asfaq Hussain, Amash Javed, M Hisamulddin Khan, Arij A Bilgrami, Afzal Ahmad Mumtaz, Zahid Hamid Quershi, Tauseef Ahmad, Faizan Khalid Rizvi, Yasir Abbas Khawaja, Shariyar Ahmad Dogar and Fayyaz Naveed Khan who work for the Pakistan International Airlines (PIA) kept the nationality of America, the United Kingdom and Canada. 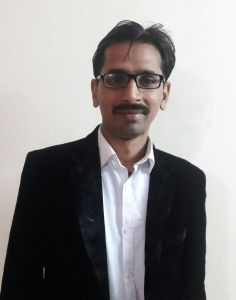 Furthermore, the director coordination Muhammad Akram Malik, Shafaq Ehmad Koreshe from the Associated Press of Pakistan (APP), DG PEMRA Dr Mukhtar Ahmad and Muhammad Arshaf Malik scientific officer at the Pakistan Oilseed Development Board (PODB) also hold the nationality of UK and Canada. Surprisingly, there is no existing law that bars government servants from obtaining the nationality of another country. It is pertinent to mention here that senator Sughara Imam of the Pakistan People’s Party government had tried to make a legislation on this matter, but she was unable to do so. On the other hand, if someone conceals any information regarding his or her dual nationality, the concerned department can start a disciplinary proceeding against it. According to a letter, upon concealing the information about his Canadian nationality, the ministry of national food security and research secretary had instructed Muhammad Ashraf Malik the scientific officer PODB to explain his position on the matter within seven days. “You are hereby called upon to explain your position within a week after the receipt of this letter, failing to do so, a disciplinary action shall be initiated against you under the government servants (E&D) rules 1973,” the letter stated. Sources told this scribe that a number of officers of the Foreign Service of Pakistan, Pakistan Administrative Service (PAS) and the Commerce and Trade Group are dual nationals but have not disclosed their nationalities. “Becoming a national of any other country is not a crime in Pakistan as there is no law that exists on this issue, but when somebody hides it, then it becomes a crime,” the sources said. The top court in 2013 had barred the politicians from keeping dual nationalities. It has disqualified several MPs for hiding their nationalities of other countries. 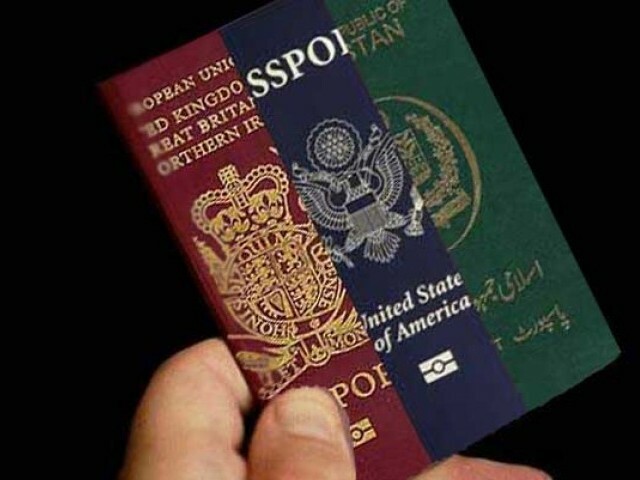 An establishment division spokesperson said that the department cannot do anything as no law exists on the dual nationality of government offices. The apex court on Wednesday took a suo moto action and directed the secretary establishment to submit a list of dual national civil servants from BS 17-22 within 15 days. It may be noted that presently, few heads of different departments reportedly keep the nationality of some other country. The president of National Bank of Pakistan Saeed Ahmad, and Fozia Saeed, the executive director of Lok Virsa – an attached department of the ministry of information and broadcasting, also have American nationalities.